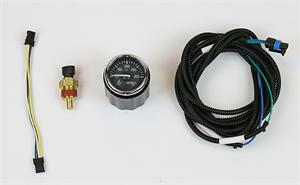 Kustom Truck is your supplier of choice for smart gauge kits for engine oil temperature gauges, brakesaver gauges, and pyrometer guages for Peterbilt <="" glider="" peterbilt="">or Kenworth Glider Kit. The Kustom Truck gauge kits inlcude a matching Peterbilt or Kenworth smart gauge, sensor, harnessing and installation guide. To spec and purchase a pyrometer, engine oil temperature, or brakesaver gauge kit for your next Peterbilt or Kenworth glider kit truck call toll free 1-888-564-8890.